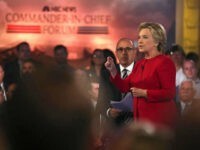 During MSNBC’s September 7 Commander-in-Chief Forum, Democratic presidential candidate Hillary Clinton suggested more gun control is part of the fight against terror attacks in the United States. When Hillary Clinton spoke to an Orlando crowd, she was also speaking to a cheering Seddique Mateen. Mateen, father of Orlando shooter Omar Mateen, was sitting directly behind the Democratic nominee and sported a grin from ear to ear. 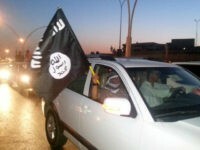 In the latest issue of its online magazine, Dabiq, the Islamic State (ISIS) takes umbrage at Western politicians like President Barack Obama, who like to describe ISIS’ violence as “senseless.” On the contrary, ISIS argues, there is a relentless logic and religious justification to these atrocities, but Western leaders and media are afraid to discuss it. 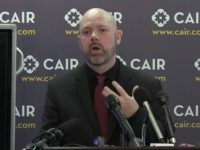 A taxpayer-funded pressure group demanding the media promote only positive views of minorities in Europe has called coverage of recent terrorist attacks “toxic”, saying it risks “angry” people generalising about Muslims on social media. 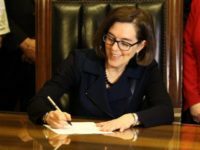 Just over a year after instituting universal background checks, Oregon Governor Kate Brown (D) is pushing a ban on the purchases of “high capacity” magazines. 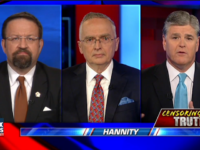 Breitbart News Senior National Security Editor Dr. Sebastian Gorka appeared on Sean Hannity’s Fox News program Thursday night, to discuss the revelation that law enforcement agencies have been instructed to withhold records pertaining to the Orlando jihad attack from the public. 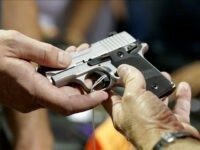 A Quinnipiac University poll released June 30 shows a majority of voters believe all would-be gun buyers should be required to pass the same background check Orlando gunman Omar Mateen passed for his firearms. When House Speaker Paul Ryan (R-Wisc.) allows a gun control vote next week it will be focused on reviving Senator John Cornyn’s (R-Texas) already rejected, post-Orlando gun legislation. 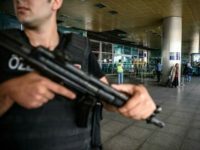 Turkey, which recently suffered an attack in the Istanbul airport by a terrorist with an AK-47, has a complete prohibition on private ownership of semiautomatic rifles, firearm licensing requirements, and background checks. 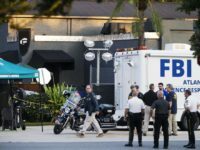 The FBI is imploring law enforcement agencies who responded to the recent massacre at the Orlando Pulse nightclub not to release records to the public, a written message from the agency reportedly shows. 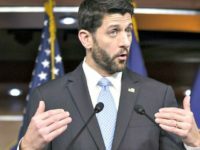 House Speaker Paul Ryan (R-Wisc.) 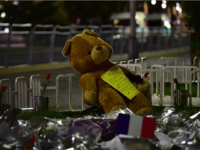 will allow a vote on legislation dealing with terrorism and guns next week. 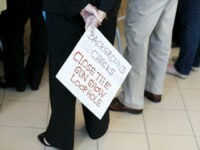 The Vermont Mayor’s Coalition (VMC) is pushing for an expansion of background checks in their state less than three weeks after Omar Mateen killed 49 people in Orlando with guns he acquired via a background check. On June 29, The New York Times observed that the Republican opposition to gun control is beginning to crack ever so slightly. 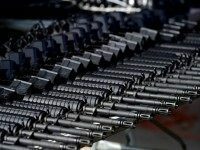 Senators Lindsey Graham (R-SC), Kelly Ayotte (R-NH), Pat Toomey (R-PA), Susan Collins (R-Maine) and others are ready to support gun control proposals if those proposals are framed in the language of terrorism. 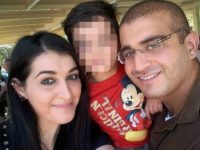 The city of Orlando has released written logs of the hundreds of 911 calls made in real time by panicked and wounded victims who witnessed the bloody June 12 terrorist attack at the Pulse nightclub in Orlando, FL carried out by jihadist Omar Mateen. 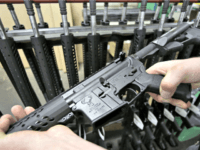 Hunter’s Warehouse says it sold 30,000 AR-15s during the first seven days following the Orlando, Florida, terrorist attack. The Obama administration seems to have lost track of Noor Zahi Salman, wife of Orlando jihadi Omar Mateen and a possible co-conspirator in the worst terrorist attack on American soil since 9/11. A group called the “Islamic State Wolfs” — clearly supportive of ISIS but not definitively linked to them — has issued a call for more “lone wolf” attacks like the Orlando massacre, and they produced a handy infographic depicting various methods of committing terrorist murder. Megyn Kelly and Catherine Herridge of Fox News appear to have the story of Orlando shooter Omar Mateen’s mysterious phone conversation all to themselves at the moment, which is odd because it is an intriguing and ominous lead. 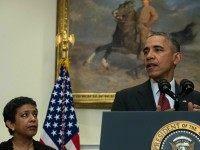 Ann Coulter: How Does Immigration Reduce Mass Shootings? With the media frantically hiding the content of Donald Trump’s terrorism speech from last week, he should respond to every question with the central point of that speech: How does this kind of immigration make our country better? How does it make the country safer? House Democrats have launched a “sit-in” on the House floor intended to force Republican leadership to allow a vote on gun control. 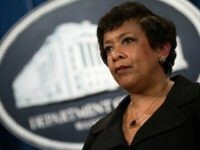 During a visit to Orlando on Tuesday, Attorney General Loretta Lynch promised that the Justice Department is “making $1 million in emergency funding available to the Florida Department of Law Enforcement,” even as Florida Governor Rick Scott’s request for $5 million in FEMA disaster relief was denied. I am not now and have never been a gun owner. I would support a ban on assault weapons if constitutional and depending on the definition of “assault weapon.” I do not, however, support and vehemently oppose the blatant cover-up of the cause of the tragedy in Orlando. The unspeakable atrocity in Orlando last Sunday has opened the floodgates to a torrent of heated discussion about the reasons behind America’s deadliest mass shooting. One of the reasons Western liberal culture has so much difficulty grappling with the reality of radical Islam is that liberals think religion, in general, is a quaint hobby no one is really serious about. 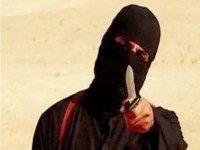 Islam, however, has a code of law called sharia, which is meant to transcend secular law.